While Hurricane Michael is terrorizing the southeast United States, local residents and government agency employees are preparing to mobilize with resources to help those in the path of devastation. 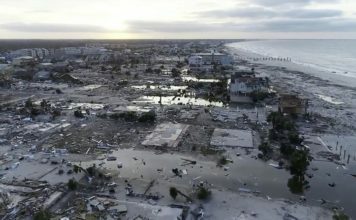 In coastal regions, 375,000 Floridians were placed under voluntary or mandatory evacuation, before Hurricane Michael’s approach. 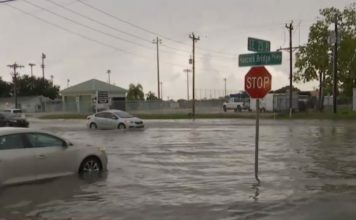 The livelihood of these residents, some of whom may have stayed and other residents within and outside of Florida, depends upon the help they receive in the next couple of days. Experience has taught Joshua Roark, Midwest Food Bank operations manager, that responding early is paramount. Roark has a couple of items he likes to distribute to people affected by these natural disasters. The items include foods, blankets, pillows, toiletries and more. The goal is to provide these desperate people, displaced from Hurricane Michael, with things that can help sustain their families for a couple of days. Laura Todd, a donor, has experienced the desperation that follows a powerful hurricane. Todd received help after Hurricane Irma barreled into southwest Florida last year. It motivated her to contribute. Hurricane Irma also motivated Deb Dahlky to contribute. 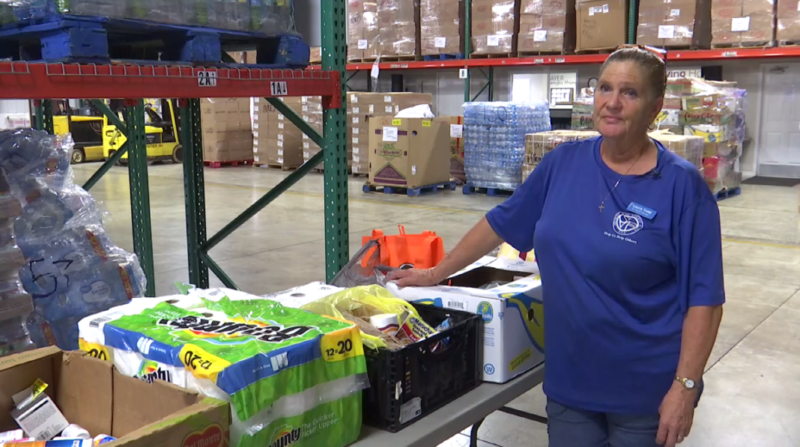 She points out a variety of goods that will be donated to those affected by the hurricane, spaced out in different sections in a large warehouse. Hurricane Irma was a powerful storm, affecting the lives of millions as power went out and substantial flooding prevented movement. The National Oceanic and Atmospheric Administration estimate that Hurricane Irma caused $50 billion in damages. Having survived Hurricane Irma, Dahlky feels she can apply what she learned for victims of the current natural disaster. It will come in handy as the Category 4 hurricane made landfall on Wednesday. It hit Mexico Beach in the Gulf Coast. The area has turned into an apocalyptic mess. Dahlky believes her contributions show support that will help victims feel like they matter.